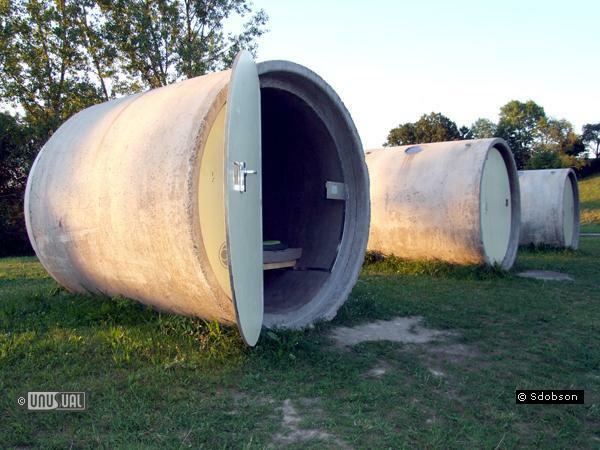 Hotel rooms built from giant concrete sewage pipe segments. Although this is a one-of-the-kind hotel, there are now two... One in Austria - Ottensheim and the other near Essen in Germany. 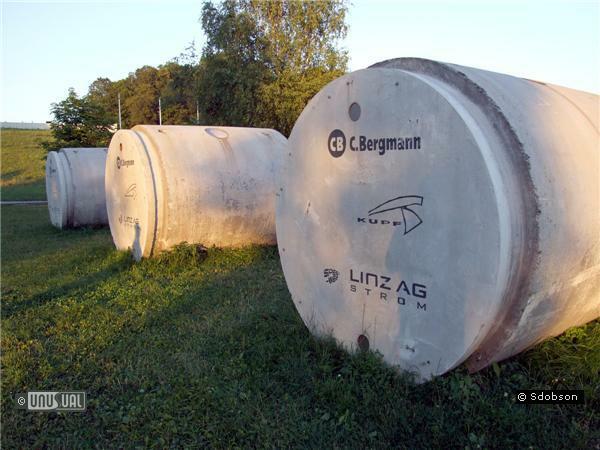 They have been designed from the outset to use worldwide standard concrete drainage or sewage pipe sections - so you could well see more of them in the future. The idea of Andreas Strauss in 2004, the first rooms were provided in Linz. Moved to nearby Ottensheim, rooms are accessed by a digital keypad, whose code is provided by the self service website upon booking acceptance. The beauty of these pipes is that their concrete utilitarian look needs little alteration to make them habitable - a coat of varnish is all that is necessary. 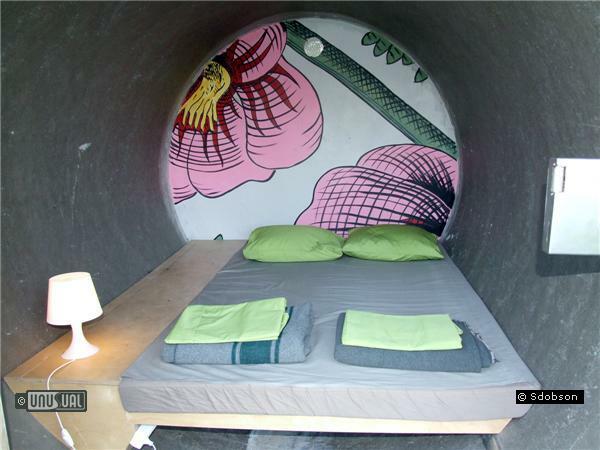 The tubes have also have received wall paintings by the Austrian artist Thomas Latzel Ochoa to make them seem a little more user friendly. Each tube weighs 9,5 tonnes – so although some might be tempted to rock or vandalise them, they are incredibly robust and need little maintenance. More advanced lock and electronic keypad systems are being fitted in 2007, but the original concept is working very well. Once inside, facilities are basic - a double bed, light, power point, blanket and light cotton sleeping bag are provided. The toilet and (cold) showers are a couple of minutes walk away, with details provided on booking. Rooms are payable on a donation only. There is no set pricing and we recommend you check the hotel website link for online availability. While there are many restaurants in the town square 15 minutes walk away, we particularly recommend the El Danubio campsite bar and it’s host Sergio, who will prepare excellent rib and fried potato dinners a minutes walk from your room. Details of places for breakfast, drinks and bathroom facilities are provided in the joining instructions. 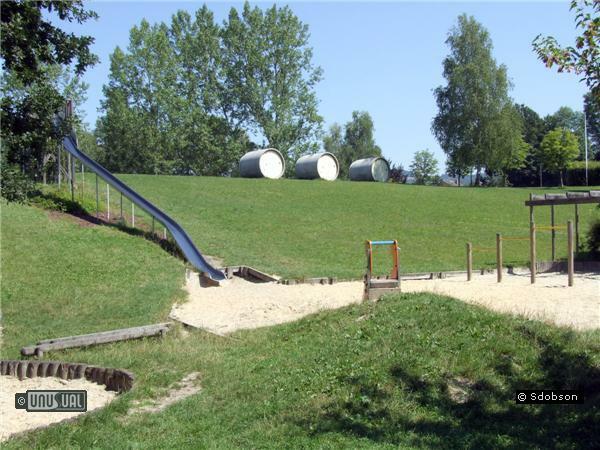 The campsite has beach volleyball courts, a kiddie paddling pool and nearby spots for swimming in the Danube. The site is next to the 2008 Rowing Word Cup sports regatta course. In Ottensheim itself, you can book river trips on the Danube, however most people choose to take the train or bus to visit nearby historic Linz. how much do they cost. I would like to purchase one here in U.S.! Superb! Great Value - you pay what you think it's worth. 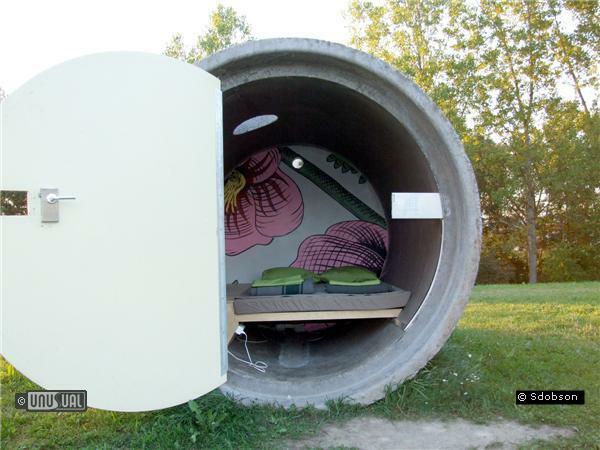 Clean, close to the facilities and next to the Danube.